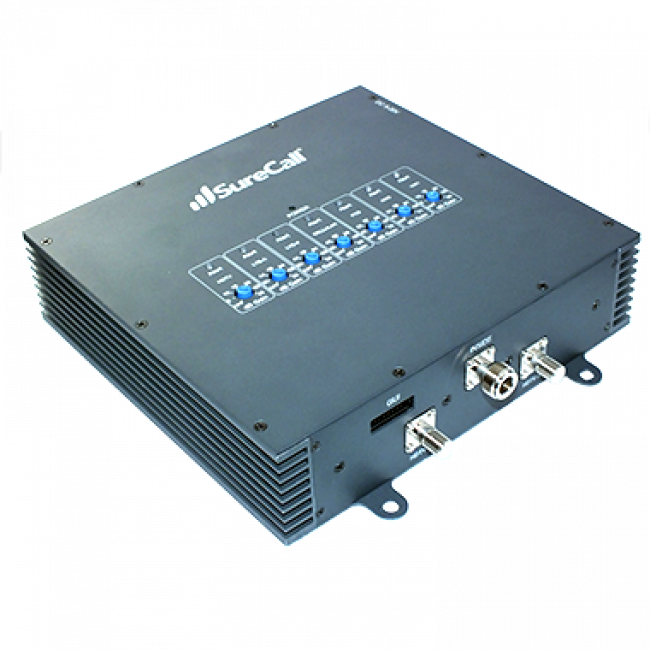 The SureCall Fusion7 Cellular, WiFi and HDTV Signal Booster kit is the first 7 band booster on the market and will boost the voice, 3G and 4G LTE networks for most of the carriers in North America (except for Sprint 4G LTE), WiFi, and HDTV channels as well. It comes with everything that you need to start boosting cell signals, WiFi and HDTV, including all of the necessary cellular antennas, cables, a WiFi router to interface with the existing network, an HDTV antenna, and the Fusion7 amplifier which will boost all of the signals it receives. Many variables impact the total coverage area of a signal booster system. The following are estimates only and may not be accurate in any individual situation. 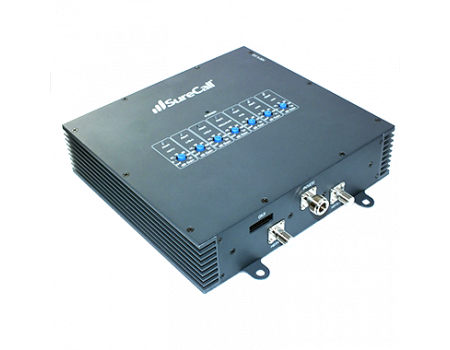 The SureCall Fusion7 Signal Booster Kit is designed for use in the US and Canada. It may work in other countries as well. The SureCall Fusion7 Signal Booster will not work in most European, Asian, and African countries because the frequencies used there are different from what are used in North America. If you would like to confirm if the SureCall Fusion7 will work for you, please first contact your carrier to find out exactly what frequencies are used in your area, then contact us and include those frequencies in your question.